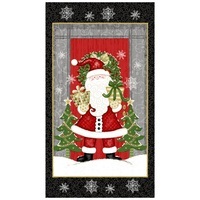 The Christmas Eve Vintage Santa Fabric Panel shows the imagination of every child on Christmas Eve. 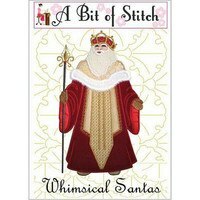 This 100% cotton panel shows Santa Claus at work delivering gifts and features a stunning metallic gold detailing. 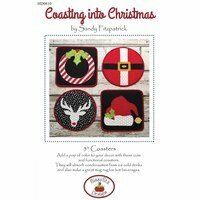 Perfect for a throw quilt or large wallhanging, the Christmas Eve Vintage Santa Fabric Panel helps bring out our favorite Christmas memories. Be sure to add this stunning and timeless Christmas Eve Vintage Santa Fabric Panel to your collection today! Measurements: 44in by 36in. Laundering Instructions: Machine wash cold, with like colors. Do not bleach. Tumble dry low. Warm iron. Fabric softener not recommended.